Hello Guys, today we are here with another cool article for our visitors. Today We are going to share top 15 Best Root Apps for Android Smartphone. Basically lots of Users Try to root their Smartphones but they don’t know which app they need to install to enjoy the full access of root. 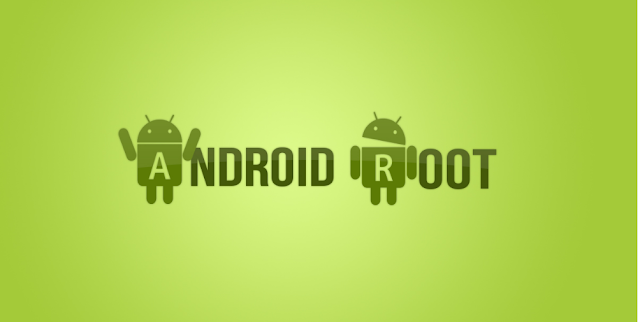 So, We provide best Root App list So that you can enjoy your rooted smartphones in a better way. Link2SD is a root app that allows you to move apps over to your SD card. It creates links to make your device believe it’s actually on your device so it works for apps that conventional Apps2SD apps don’t work on. This is a great way to take advantage of your external SD card space. It’s not as great as Marshmallow’s adoptable storage, but it’s a good alternative until people actually get it. There are some bugs, so read the user reviews before trying it out and do keep in mind that moved apps will perform more slowly. So what is Nandroid Manager? Well Nandroid Manager is the ultimate tool for managing all of your nandroid backups!With Nandroid Manager you can restore data from your nandroid such as apps+data, text messages, call logs, and much more!Also with Nandroid Manager not only can you restore data from your nandroid backups but you can also flash new recoveries and use tools like fix permissions. ROM Toolbox combines all the great root apps into one monster app with a beautiful and easy to use interface. ROM Toolbox has every tool you need to make your Android device fast and customized to your liking.ROM Toolbox combines apps like Titanium Backup, Root Explorer, SetCPU, MetaMorph, Autorun Manager, Terminal Emulator, Scripter, SD Boost, BuildProp Editor, Font Installer, Boot Animations & many more apps into an all-in-one app! SDFix is a system modifier tool that helps those running Kit Kat and Lollipop overcome the dreaded locked-down SD card problem. I have personally tested this on a Note 3 running both Kit Kat and Lollipop as well as an HTC One M9, NVIDIA Shield Tablet, LG V10, Note 4, and Nexus 5 all running Lollipop. This makes your SD card useful again and takes away the limitations placed on other apps like file browsers. It doesn’t work for all devices but it’s definitely worth a shot if you are afflicted with this issue and your device doesn’t have a ROM or mod that solves the issue. It’s also absurdly easy to use. Open it, hit go, wait a few seconds, and then uninstall the app. Servicely is a newer application that helps control background services. This will allow you to do something like prevent Facebook from running in the background while your device screen is off. It’s a stop-gap for stopping rogue apps and unwarranted wake ups of your device and should help improve battery depending on how you use your device and which services you decide to stop. It’s a solid service and worth a shot if you have a service you just can’t stop. Next on our list is a very useful root app called Tasker. This powerful application can make your phone do pretty much anything you want. It’s a vague description but an accurate one because the only limit is your imagination. Many of the functions don’t require root access but to get the full range of things you’ll be able to do, root will be required. It’s a great application, especially for tinkerers and those who have unusual needs for their smartphones. Do beware, though, because the learning curve is rather steep. Hope you like our Post ! !